Attorney Michael Gresham has a new go-to person. Her name is Annie and she's twelve. Annie is a savant. She can look at you and, like her idol, Sherlock Holmes, tell you where you're from, whether or not you're happily married, and where you went to school. But now she must use her skills to discover who murdered her entire family, because it looks like the killer was actually looking for her. 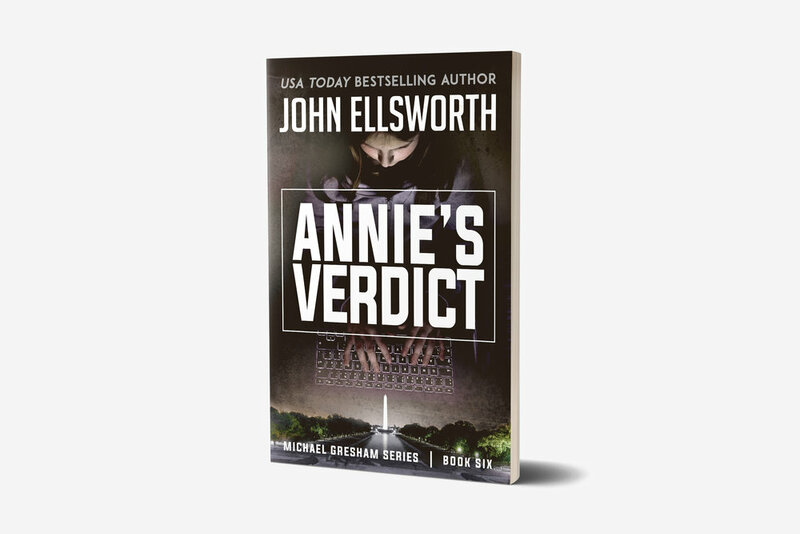 Annie must profile the killer before he kills her. It will take all of her brilliance and all of the lawyering skills of Michael Gresham. But will even that be enough? At the last minute, Annie spins out an entire universe of killers and leads Michael Gresham to their door. Now the door must be opened. Gerry’s expiration date was fast approaching when he flew to Chicago to meet with me. We found the lounge on the main concourse and stepped inside. He ordered a martini; I ordered coffee. Before we were finished with our talk, he had ordered a second. But even with the alcohol onboard his hands shook. His eyes darted all around the lounge and back out into the concourse, looking and watching, always watching. He passed me the letter. I studied it and nodded appreciatively. “Twelve million dollars. Isn't this good news?” I asked. Gerry was the Climate Party's nominee in the race for President of the United States. In one month the presidential election of 2016 would tally up all the votes, and we'd know who the next president was going to be. Gerry didn't expect to win; green parties never win. But he had intended to make a statement about the climate. Now he feared that some enemy was going to step forth and claim Gerry embezzled the money. His political career—and chance to make a climate statement in the election—would be ruined. He favored me with a patient smile as a professional might do with a novice—which I was, politically.